Compatible with all Windows OS from 98 to Windows 10! Tropes training software that provides engaging games, puzzles, and interactive quizzes. These, together with a clear method, interspersed humor and practical ear training, enhance the students experience in learning the subject of tropes. An elegant electronic tikun with Professional human voice recording of the yearly cycle is included, with variations to suit Reform, Conservative and Orthodox practices. Rich background and resources bring tropes alive, endowing users with inspiring memories and lifelong skills. The course features built in multidisciplinary options. 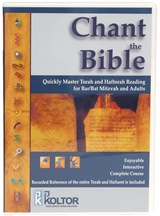 As such it is suitable either for young Bar/Bat Mitzvah students or for learners of all ages who aspire to acquire the skill of chanting Torah and Haftarah. The program is designed as a complete course for schools or individuals, also with features to enhance the experience of parents and children studying together. If the page details: Tropes, Nikud, the scroll are too small, set your screen to 800 x 600 pixles resolution. Insert your recordings; the program interactive features will present your melody and voice. 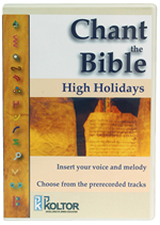 Select from the professional human voice prerecorded chanting and text reading tracks which includes - Binder/Avery and Lita melodies. Repeat a phrase or a word in the Built in Tikun. Unit for High Holidays Torah and Haftarah Blessings. Separate versions for Traditional and Reform Services.